Dragon fruit, also known as Pitaya, is a bright pink fruit native to Central America. 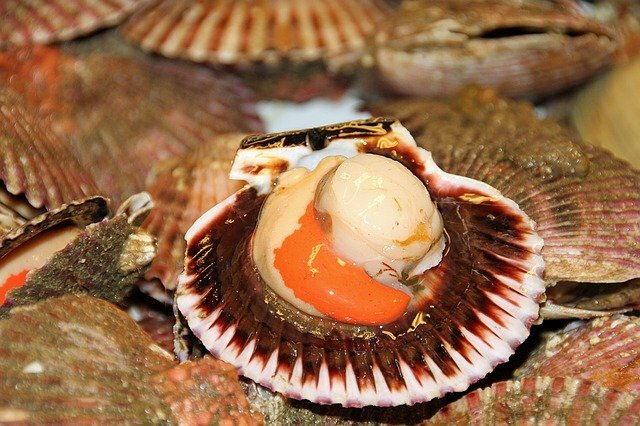 It has soft white flesh with tiny black seeds, which both offer incredible nutrition and multiple health benefits. Due to its popularity, production has spread to the tropical and subtropical regions of Asia, being aptly named “dragon fruit” due to its mystical appearance. 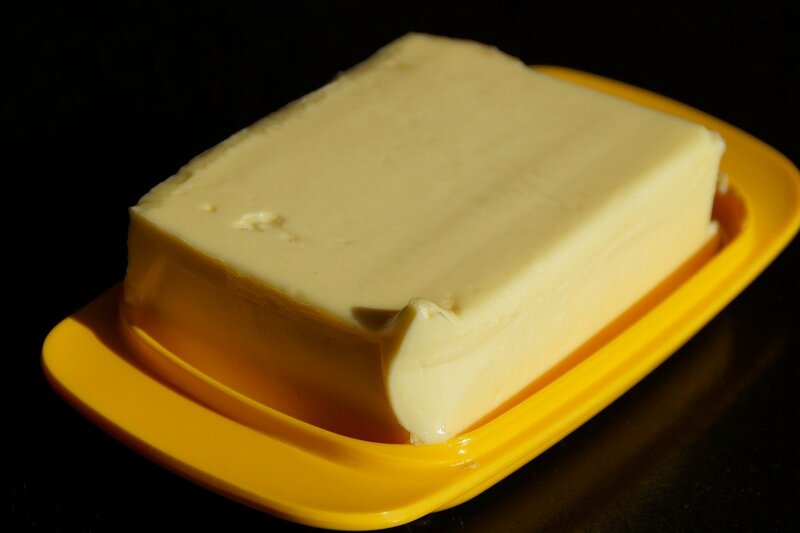 It is low in fat, high in fiber and contains an abundance of essential vitamins and minerals. 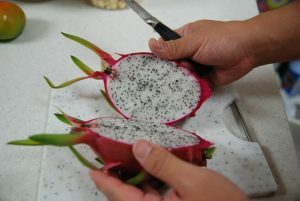 The calcium, flavonoids and antioxidants have earned dragon fruit the reputation of having a high nutritional value, according to the Food and Agricultural Organization of the United Nations. 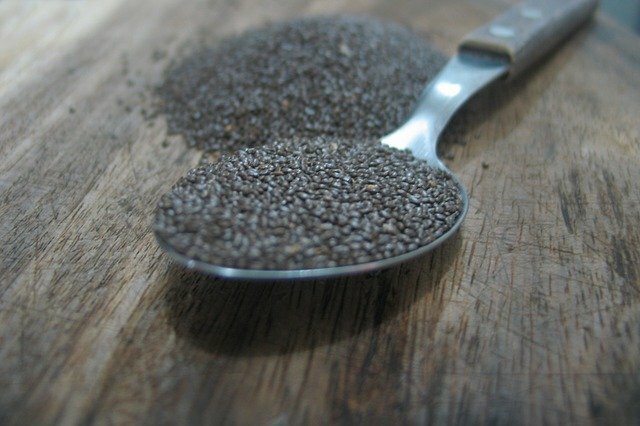 It helps to improve digestion, increase immunity and has even been linked to preventing heart disease and hypertension. It’s so safe and delicious that it has even been recommended as a source of nutrients for pregnant and breastfeeding women. Researchers studied a group of volunteers to determine how beneficial dragon fruit was in the development of Type 2 Diabetes. Groups of 7 were formed, and each group was supplemented with varying amounts of dragon fruit, somewhere between 400-600 grams per day. The excellent dose of fiber and a low dose of sugar helps to keep blood sugar levels stable, preventing diabetes. Dragon fruit contains 34% of the daily requirement of Vitamin C per 100 grams, which makes it twice as powerful as carrots in boosting immunity. Vitamin C helps to build the strength of white blood cells, which increases immunity against germs, bacteria and viruses. The seeds in dragon fruit contain a rich supply of Omega 3 and 6 fatty acids, which help to correct cholesterol imbalances. By boosting the HDL (good) cholesterol levels and effectively reducing the LDL (bad) cholesterol levels, the cardiovascular system is protected from stroke, heart disease and heart failure. Dragon fruit is also an excellent source of nutrients and antioxidants which prevent damage to arteries and improve blood circulation. Eating more dragon fruit will keep your heart strong and healthy. Each dragon fruit contains as little as 60 calories and has zero fat, making it an excellent choice to support weight loss. The high amount of fiber promotes excellent digestion, which further helps to boost metabolism and eliminate waste, leading to a leaner and lighter composition. The World Health Organization has recommended that all adults get between 25 and 35 grams of dietary per day, which has been linked to a diet high in fruits and vegetables. Dragon fruit offers as much as 12% of the daily requirement per fruit, containing both soluble and insoluble fiber. This helps to improve digestive function by promoting regularity, as well as increasing nutrient absorption. Make dragon fruit a part of your day to get your fiber figures rolling in. Dragon fruit contains more than 80% purified water as well as an intense dose of powerful antioxidants. This not only helps to keep you hydrated and your cells rejuvenated, but also helps to flush out any excess toxins and heavy metals that have been stored in your body. 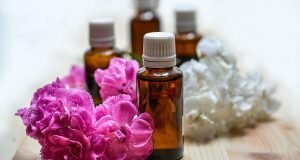 Multiple studies have been carried out to observe the effect of heavy metals on the body, which includes the development of tumors, cancer and oxidative stress. Dragon fruit is the perfect antidote. A study involving men between the age of 45 and 54 years was carried out to determine how they could reduce their risk of developing prostate cancer. Lycopene, an ingredient in dragon fruit was found to significantly lower the risk and resulted in the recommendation to increase fruit and vegetable intake in order to increase the level of dietary lycopene. By including dragon fruit in your diet you will increase your chances of never developing prostate cancer, a disease which affects 200 000 American men per year. Dragon fruit is rich in blood healthy iron, which helps to increase red blood cell count and sends more oxygen to your brain. This helps to improve cognitive function and memory retention, giving your brain superior mental stamina. 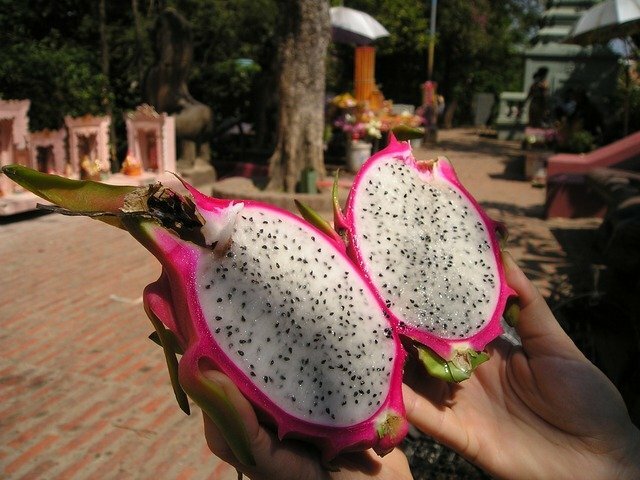 The Chinese culture considers dragon fruit one of the top sources of anti-aging nutrition due to its high level of antioxidants, flavonoids and powerful Vitamin C.
It helps to reduce oxidative stress throughout the body, which potentially reverses aging, as well as boosting collagen production in skin tissues. Collagen has been linked to a reduction in wrinkles and sagging, promoting a more youthful looking skin. A 2011 study published in the Journal of Food Science verified that dragon fruit is so excellent for revitalizing cells that it can be added to cosmetic products to enhance their effect. 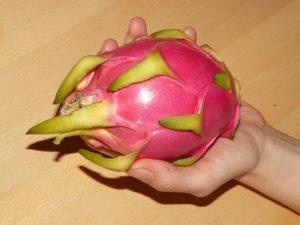 The Food and Agriculture Organization of the United Nations consider dragon fruit to have a high nutritional value and is particularly impressed that it contains a decent amount of calcium. It offers 8.5 milligrams per 100 grams, which helps to supply the skeletal system with a low dose of density building mineral content. It also registers as a highly alkaline fruit, which prevents acidity in the body from damaging teeth and bones. Eat more dragon fruit for stronger and healthier teeth and bones. How to Eat Dragon Fruit? While its exterior may look intimidating, dragon fruit is easy to peel open or to slice lengthwise for a deliciously refreshing treat. It can also be juiced, blended or added to cereals and salads. lengthwise for a deliciously refreshing treat.